We had a wonderful film screening Saturday afternoon with the support of Daniel Chaffey from the Goethe Institute Los Angeles at our German School campus location in Newport Beach. 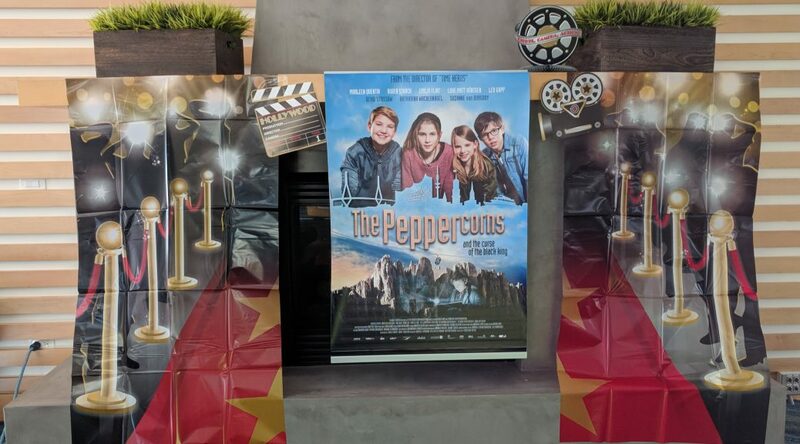 “Die Pfefferkörner,” is a movie about a young students group from Hamburg who went on an excursion with the class to the Tiroler mountain region. They overcame a lot of adventures. Motivation is one of the most important factors in determining successful German-language acquisition. The ‘visuality’ of film makes it an invaluable language teaching tool, enabling learners to understand more by interpreting the language in a full visual context. Film assists the learners’ comprehension by enabling them to listen to language exchanges and see such visual supports as facial expressions and gestures simultaneously. These visual clues support the verbal message and provide a focus of attention. For example, a whole film or sequence can be used to practice listening and reading, and as a model for speaking and writing. Given the benefits of using film in the language learning classroom, it is not surprising that we are keen to use film with our students, and with an increasing number we want successfully integrating film into the language-learning syllabus. Movie is subtitle in English. To watch movies is an important part of learning German. At German School campus we offer many events during the school year where students have the opportunity to participate and learn the German language.